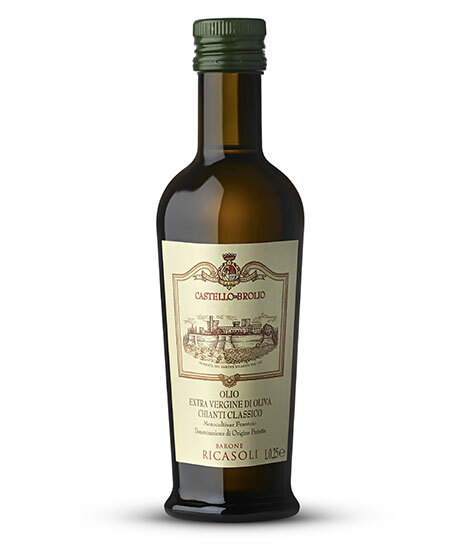 This limited and prestigious production of extra virgin olive oil is dedicated to the variety of olive, Moraiolo, that has always been cultivated in the Chianti Classico territory. It rained a great deal during the 2018 season, especially during late autumn 2017 and through the winter and spring of 2018. In fact, 1200 mm of rain were registered from 1 November 2017 to 10 October 2018. In particular, 730 mm of rain accumulated in the autumn and winter months, while temperatures were average for the season. At the end of February/beginning of March there was a sharp temperature drop with a snowfall and then a freeze. This compromised the growth of many olive plants. Spring was regular, with average temperatures and about 370 mm of rain, often concentrated in intense showers with as much as 70 mm in a few hours. This situation led to a good number of flowers and good fruit set. Summer temperatures were average, never too hot, with highs of 36 – 38°C at the end of July. 190 mm of rain fell, above the seasonal average, but the end of August and the entire month of September were very warm and dry, averting the risk of the terrible olive fly. Intense green color. Fresh cut grass, artichoke and aromatic herbs on the nose. Delicate in the mouth, but with good pungency and bitterness. A very balanced oil.